These free receipts such as the Cash Receipts, Petty Cash Receipts and Reconciliation will be an asset for your church office. The cash receipts can be utilized for many reasons such as if the church sold a piece of church property to an individual and the they needed a quick receipt for proof of purchase. There are two other forms for receipts below that might be of some help to your church secretary, etc. The petty cash receipts can be used when the church purchases something out of the Petty Cash Fund. The Petty Cash is a miscellaneous small fund usually budgeted for that is to be used for unknown minor items that may occur that you don't have time or need to go through the processes or writing a church check and you pay with cash from the Petty Cash Fund. 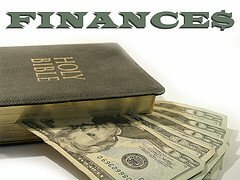 A Petty Cash Fund can help you easily disburse money to your church employees for small expenses, and it also gives you reserve for times when you might need to purchase supplies and similar items. Petty Cash Receipts helps you track how to the money is being used because the money you withdraw can easily add up over a course of several months even though the petty cash is a small fund. This Petty Cash Reconciliation form should be performed at least once a month to ensure accuracies in the Petty Cash Fund. It is also important at the end of your church fiscal year to have a final annual summarized Petty Cash Reconciliation report for the church administration office. Return to Home Page from Church Cash Receipts.